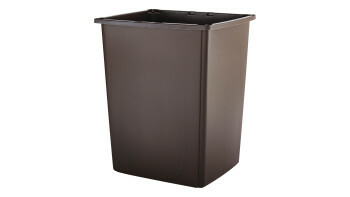 The Rubbermaid Commercial Atrium® Classic Trash Can features a funnel-top for easy, hands-free use. 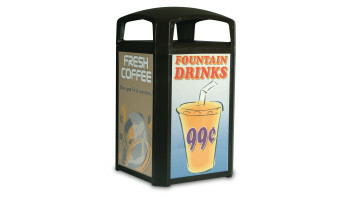 Style combined with functionality helps make gas islands and store fronts appealing and efficient for outdoor use. 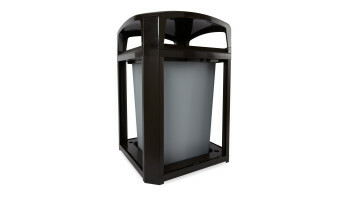 The solution for secure, effective, and affordable waste mangement for outdoor use. 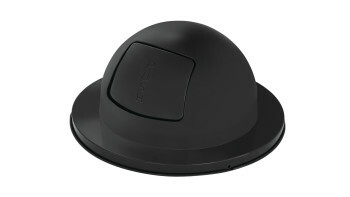 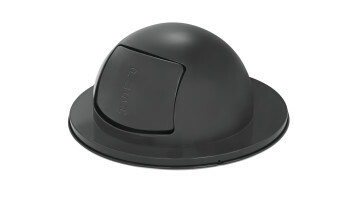 The heavy-duty FG2030 Dome Top is an FM approved lid that fits the 30 Gallon Steel Drum, Americana Series (item FGMT22) and Towne Series (item FGH12) waste containers. 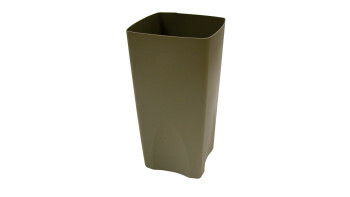 The Rubbermaid Commercial Glutton® Trash Can is ideal for high-traffic areas. 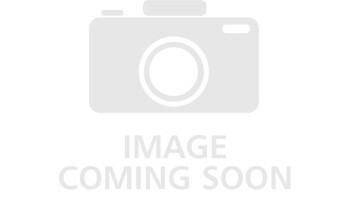 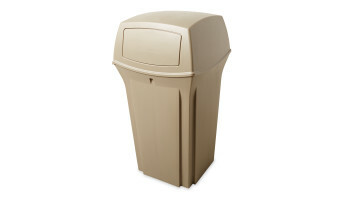 The Rubbermaid Commercial Glutton® Hooded Trash Can Top is designed for Rubbermaid Commercial Glutton® 56 gallon trash cans (sold separately). 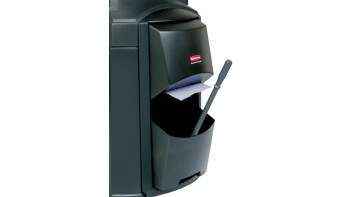 The Rubbermaid Commercial Plaza® Trash Can offers contemporary styling with a side-opening door for ergonomic waste emptying. 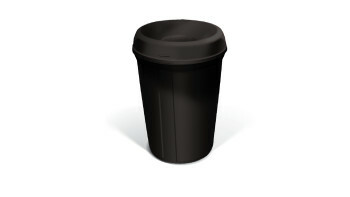 Leak-proof rigid liner keeps spills inside the container. 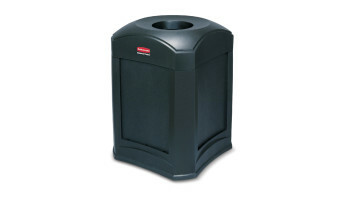 The Rubbermaid Commercial Ranger® Classic Trash Cans feature Rubbermaid's famous durability, modern styling, and easy-to-service design. 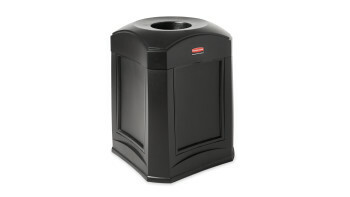 The Rubbermaid Commercial Marshal® Classic Trash Can with Retainer Bands features a domed and textured top. 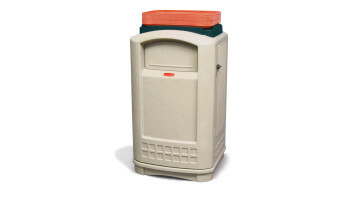 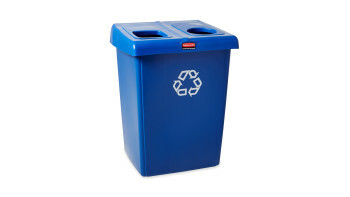 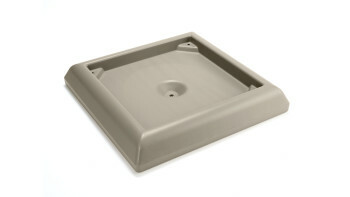 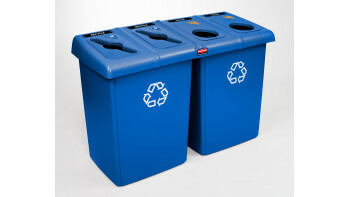 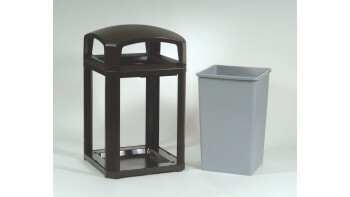 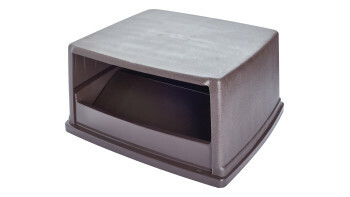 The Rubbermaid Commercial Street Basket Trash Can is designed to withstand constant use and harsh weather conditions. 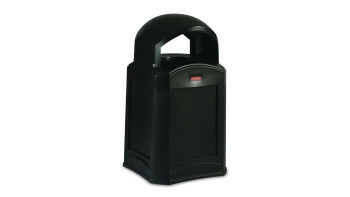 The Rubbermaid Commercial Landmark Series® Window Cleaning Supplies Kit easily hooks into waste receptacles for seamless integration.